This week I went to an adidas event to celebrate the fact that 2015 is the year of the Superstar. 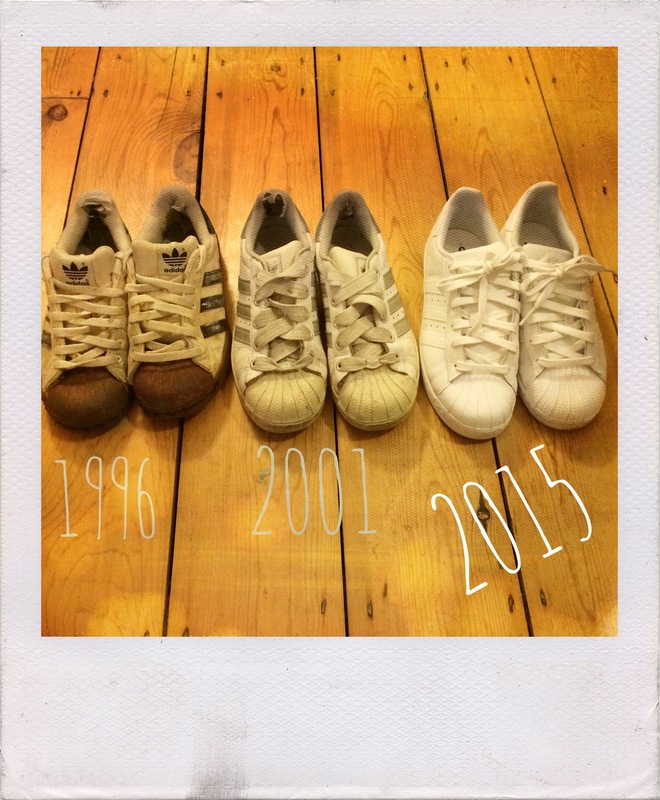 2014 was the year of the Stan Smith – EVERYONE, including me was wearing them – but this year it’s all about the trusty shell toe. Neneh Cherry was DJing at the party, and she was wearing them too, so it must be true. Now, I am not new to the charms of the shell toe. 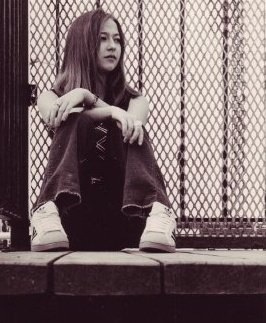 As this picture proves, I have been wearing them for a LONG time. Since early 1996, to be precise. That’s nearly twenty years! I thought they were just about the coolest thing that had ever been on my feet, and I was so chuffed with them that I slept with them next to my pillow so they’d be the first thing I saw when I woke up. More evidence – here is a line-up of all my Superstars (minus the red stripe pair that my 13 year-old niece nabbed off me over Christmas – yet more proof, if needed, that these shoes are SO this year). It’s like three generations; the 1996 pair have even shrivelled up like an elderly person. I’ve searched high and low for a replacement pair with this gum sole and toe, but sadly they don’t make them anymore. Still, I am rather taken with my new box fresh, blindingly bright, white on white pair. It’s Neneh Cherry! Still looking incredible. What I love about these trainers is that you can style them up so many different ways. If an urban vibe is your thing, like the model image, top, you really couldn’t do any better. 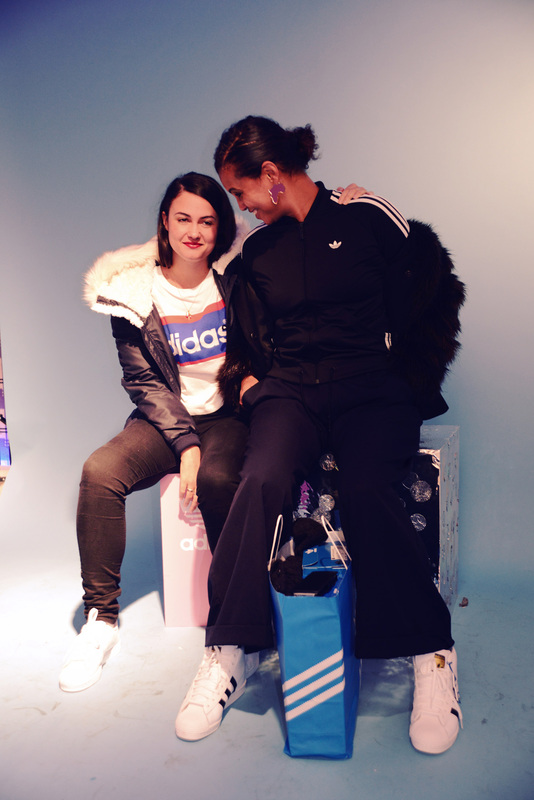 I used to wear mine with all my Brit Pop get up – vintage adidas tight tops, cords and anoraks – and though I still love that look, I’m more likely to pair them with leather trousers and a sweatshirt these days. I’ve also been know to throw them on with a pair of tailored trousers and if I had the occasion to wear a tux, then these would be my footwear of choice. And of course, they look brilliant with jeans. So if you’re looking for this year’s go-with-everything fashion trainer, it’s got to be the adidas Superstar. From £65, adidas.co.uk.